We got to see the return of Sheriff Donna, the reminder of Sam’s clown phobia, and a heavy-handed foreshadowing come to life. All in a day’s work for the Winchester brothers, right? It is always nice to see Sheriff Donna back with the boys. We have so few female characters on the show, and as we’ve quickly come to learn. 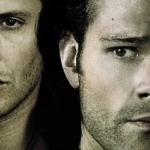 the ones that tend to stick around are those that pose no romantic potential for Dean or Sam. Maybe it’s a perceived threat to the audience if any character dares to try to come between the boys, but for whatever reason, as long as Donna and other favorites can manage to survive through the entire episode, I’m happy to see them again and again. And now that Donna’s a full-fledged hunter with three cases under her belt, according to the boys, perhaps she will have the potential for more weird cases coming her way. Hopefully now that she has put her Past!Doug issues aside, she can find potential love with Present!Doug, too. Also glad we got to revisit Sam’s clown phobia for the case. Not that I want to see him all weirded out by strange men in make-up, but they do tend to get more and more creepy as the episodes go on. That long-standing issue that Sam has with clowns has been a great touchstone over the years. First we found out he had the phobia, then years later we found out why he had it in the first place, and now we’re seeing him try to rise above it to finish out a case. It’s a nice continuance. Considering this is a man that faced down the apocalypse and Lucifer himself, faced Death and angels and demons, and he’s still creeped out by clowns? Adorable. But perhaps the naming of the bad guy in this one was a bit too heavy-handed. Chester the Molester, the creepy clown. Yeah, I would be creeped out by the guy, too. It was a nice one-off episode, one-stop case. Go in, get the ghost, leave town before too many people die. The expression-less-ness of the bunny was really good, and I wished he could have stuck around a while longer. 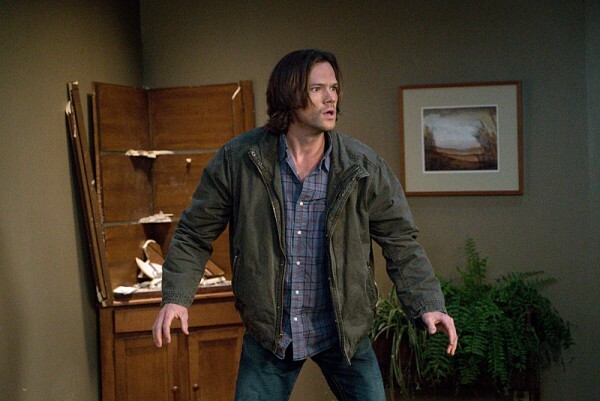 Sneak attack on Dean, Sam’s quick “not a demon” — it had the potential to be drawn out a bit more with more victims. Or maybe I just have a fondness for the bunny mask above all others. It was touching, however, that the guy had to die before the mask released him, and then Donna was left to contemplate the ramifications of their actions. Hunting’s a messy business. 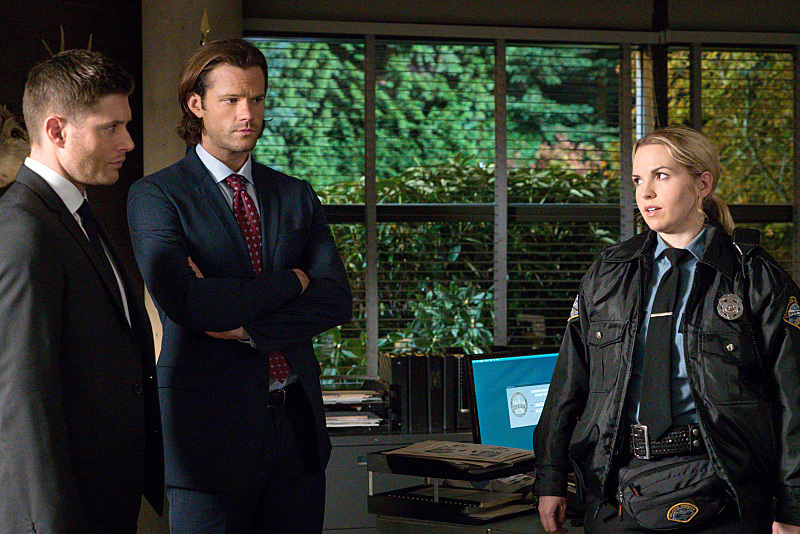 By the end of this, I guess Donna can see why the Winchesters’ lives are not all bright and sunny. Past!Doug may have screwed her over, but at least she still has hope of a semi-normal life. Dean and Sam can never have that, so they have to settle for their version of normal. I still want to know who is giving Sam the visions, and why the Cage. Torture sessions Sam can deal with flickering across his mind, but show him the Cage and he’s messed up for real. Does this mean Lucifer or Michael might play a role in this storyline? And if so, how is Sam going to deal with having to face them? Dean’s constant “do it ourselves, we can beat this” mindset isn’t really going to cut it this time. He’s determined, but this is some serious power. 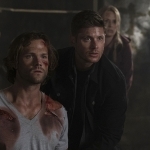 And with Amara messing with Dean’s mind, the boys are just not in a good mental place. So, we’re left with the holiday hiatus before returning to contemplate the Darkness and the Cage and all that may come for the Winchesters in this ultimate battle. Perhaps we’ll get a few more answers before we’re on break again. The possibilities are multiplying!